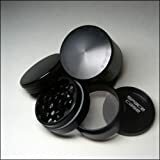 SPACE CASE Grinder Sifter Mag. 4 Pc. 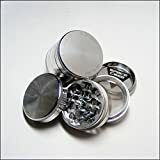 Small Titanium was listed on Amazon for $89.00, selling for $63.28 USD brand new. There are 7 units left brand new. 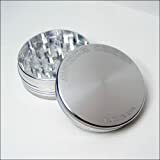 The Space Case titanium series of grinders are the toughest toughest grinders yet. 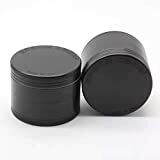 Even stronger than anodized aluminum, these grinders will last you years and years of exceptional use. 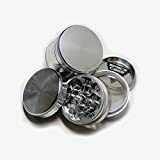 The 4 piece includes a magnetically sealed lid to avoid spilling, stainless steel sifting screen, and bottom storage compartment. The small size measures 50mm (about 2″). Product prices and availability are accurate as of April 20, 2019 09:05and are subject to change. Any price and availability information displayed on the Amazon site at the time of purchase will apply to the purchase of the products above.